Dr. Jeremy Grimshaw has been honoured with a pre-eminent career achievement award from the Canadian Institutes of Health Research (CIHR). The CIHR 2018 Barer-Flood Prize for Health Services and Policy Research recognizes Dr. Grimshaw as an exceptional researcher who has made outstanding contributions to health services and policy research in Canada. 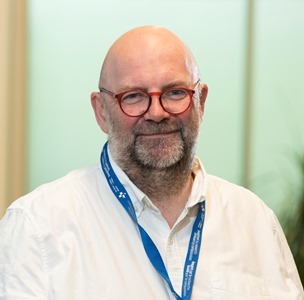 A senior scientist at The Ottawa Hospital and a Tier I Canada Research Chair in Health Knowledge Transfer and Uptake and a professor in the Department of Medicine at the University of Ottawa, Dr. Grimshaw has devoted his research to bridging the gap between research and clinical care. He has dedicated his career to improving quality of care by encouraging the adoption of evidence-based research by health care professionals, and is now considered one of the world’s top knowledge translation and implementation scientists. Dr. Grimshaw is leading the way in knowledge translation and implementation science, a rapidly emerging field with substantial impact on health services and policy research. His research explores determinants of professional and health-care system performance, evaluates dissemination and implementation strategies to improve care, and builds theoretical and methodological developments. He also studies how behavioural theories from social science disciplines can be applied to health care professionals, opening doors to developing new tools to enhance cancer screening, diabetes care and treatment for cardiac arrest. “Thanks to his visionary thinking, the clinical research community can convert new discoveries into tangible means to contribute to improved population health and more cost-effective and efficient health care delivery systems,” says CIHR of Dr. Grimshaw in their official announcement. The Barer-Flood Prize is in part named after uOttawa’s own Colleen Flood, director of the Ottawa Centre for Health, Law, Ethics and Policy and former associate vice-president of research of the University. Along with Morris Barer, Dr. Flood was one of the first two Scientific Directors of the CIHR - Institute of Health Services and Policy Research, whose leadership, vision and innovative contributions are honoured by the award. Dr. Grimshaw was presented with the honour last night in a ceremony at the University of Ottawa. Read the official announcement from CIHR.